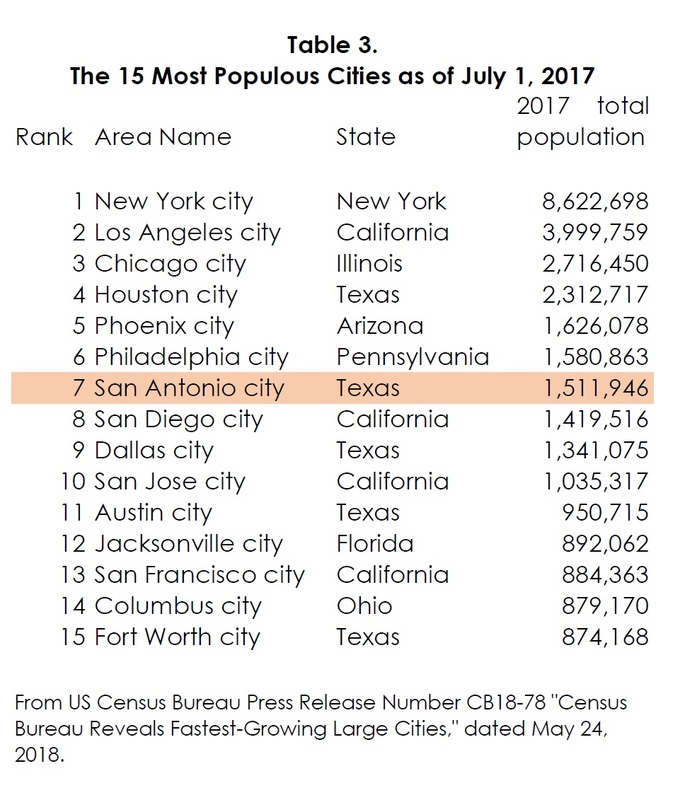 Were you aware that San Antonio is the 7th largest city in the United States? Below is a table from the US Census Bureau. According to a May 24, 2018 US Census Bureau press release, San Antonio added an average of 66 people a day between 2016 and 2017.